For the last 25 years, photographer Sam Fentress has traveled America taking architectural photographs as his full-time profession. 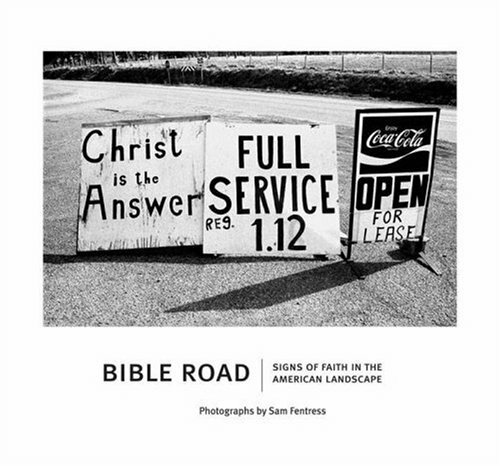 Along the way, he has encountered illustrative signs of faith along our nation's highways, country roads and back alleys.In this never-before published collection of his work, Fentress reveals an America rich with spirituality, hunger, compassion, sorrow, remorse and jubilation. His stunning photography exposes the heart and soul of everyday life in our country. Each remarkable image calls us to ponder the story behind the photo and compels us to contemplate our own place in the world.